New Delhi: Translation is the major thrust area of the project and this seminar takes up an issue that remains to be adequately addressed in this field of literary and critical engagement. This relates to the problematic of pedagogy that is one of the mainstays of the translational exercise. evokes varied pedagogies. In doing so, the scholar would specially examine the strategies required for translational negotiation along with typologies of texts and methodologies of translation. They would also deliberate upon the need for developing translation skills and approaching translation as a mode of language learning. 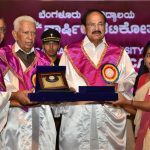 In reflecting on these critical issues, they would also engage with the possibility of developing a manual for Indian translators which could possibly help them in evolving the registers and styles best suited for both academic and professional translations.